The KÜHL Retro™ Hoody sheds the weather like a raincoat and feels comfortable like a casual, well-worn jacket. 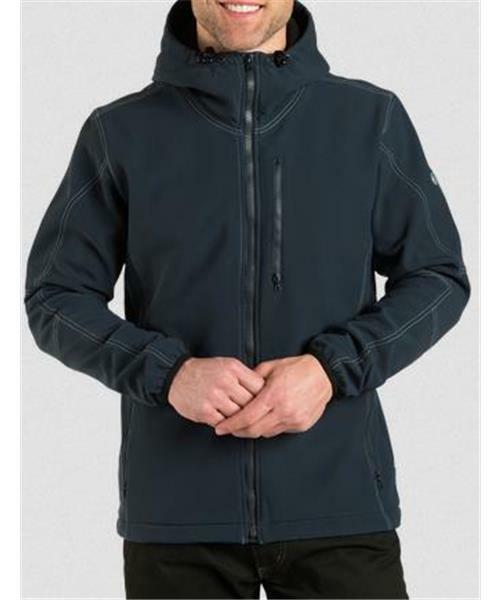 Featuring the unique Two Kuhl Zipper System for a tight performance fit and increased warmth side by side with another zipper track for a looser, casual fit. This Jacket is revered and has earned cult status. The hood will fit over your ski or moto helmet. Built with a soft shell fabric that is uber-durable for years of wear. Such a versitle jacket you have to own one to understand the passion this jacket has inspired. Get the Retro Hoody while stock lasts. Back by popular demand.